Curious about sharing your research with audiences outside of your field? Now is your chance to learn how! 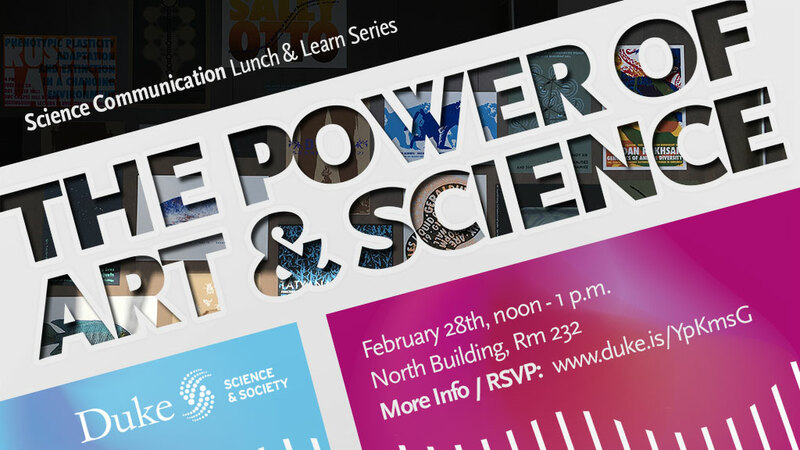 Join the Science Communication (SciComm) team of the Duke Initiative for Science & Society for a new monthly series, SciComm Lunch & Learn. We’ll be exploring unique areas of science communication each month, such as presenting science in the courtroom, communicating risk in science, and using art and story to enhance your ability to talk about your work in different settings. In this open discussion format, you will be able to talk to scicomm experts and gain new perspectives and ideas on how to improve your own science communication. 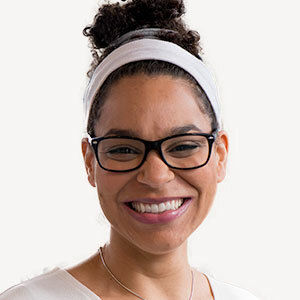 Join Ariana as she discusses the scicomm lessons she learned from her work alongside Casey Lindberg and Hannah Devens to enhance the public’s connection to science by joining art and science. Over the summer last year, the three launched a new science-art initiative called the Art of a Scientist that drew over 250 people to its opening at the Rubenstein Art Center. Between the collaborations between artists and scientists, the public outreach events, and the panel discussion, this shined a bright light on the power of merging art and science to draw people in. The exhibit is now in the stages of its second iteration and looks to be something that will continue to captivate scientists, arts, and everyone in between for years to come.